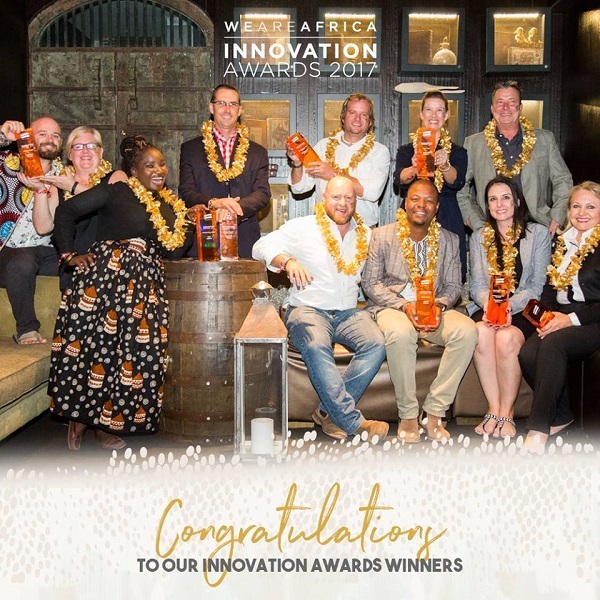 African Bush Camps is proud to announce that two of our own, Beks Ndolvu and Yvonne Bahlangene, were honoured at the We Are Africa Innovation Awards held in Cape Town last May. Beks Ndolvu, CEO of African Bush Camps, won the Shape Africa award- dedicated to individuals who contribute to shaping positive perceptions of Africa as a brand for the future. Yvonne Bahlangene, African Bush Camps Guest Relations Officer and the African Bush Camps Foundation Brand Ambassador, won the Rise Africa award. The award recognises up and coming young stars making a mark in the African travel industry. We are incredibly proud of Beks and Yvonne for their well-deserved wins and would like to extend our heartfelt congratulations to all the other nominees. It is an honour to be recognised alongside such inspiring players in the tourism industry.